Continuing from the amazing story from Part One of When They Cry, volume 2 builds on this exciting premise of this strange rural village in Hinamizawa. If I could describe this in Western terms, it would be Twin Peaks meets anime because it contains mysteries and some very bizarre and sometimes disturbing storylines. For those who have not watched part 1, the story revolves around Maebara Keiichi, a student who has transferred to this "quiet" village. Thankfully Maebara is not that shy and he easily befriends some of the local children, Rena, Mion, Rika and Satoko. However as Maebara becomes part of this town, he soon learns that not everything is what it seems. From mad gods to murders and missing people, this village has a dark psychological secret that touches all denizens of those who liove in this village. The series is also broken into chapters and generally involve some murder or missing person and not all the characters play a prominent role in the stories. 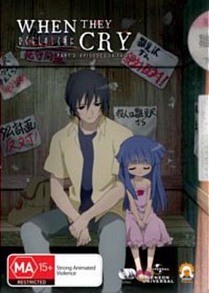 Without spoiling the story of Part 2 of When They Cry, it is a psychological anime story and with every action, there is a reaction. There's also some great back histories revealed in Part 2 of this series. 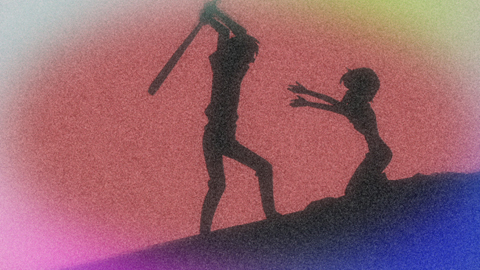 On more than one occasion, the main characters clash with each other and although the artwork appears quite innocent, the characters are far from it. In part 2, the series commences quite slowly with a policeman investigating the child kidnapping in this village. 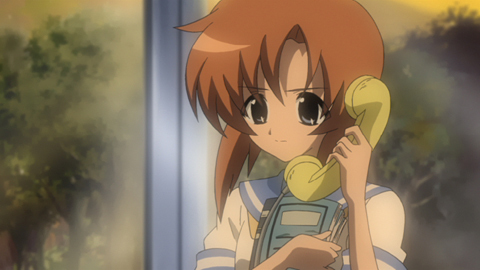 There is a surprise cameo from Rena who is actually quite creepy in this episode in classic Japanese fashion. I really hope this goes to live action. As the stories progress, we learn more of the Sonozaki family and there deadly curse of murdering newborn twins. They are also blamed for the deaths and missing people in this village but once again things are not always black and white in this series. Part 2 ends with a truly WTF cliff hanger type story and revolves the mentally disturbed Rena who does the unthinkable. This is really a thinking man's anime and never have I been glued to my screen than this series. I for one cannot wait until more volumes of this amazing series unfold about one boy and his four female friends. This is one severely f**ked up series... in a good way! The animation is a joy to watch in this series and fortunately the video quality is quite impressive that compliments the earthy colours. Add in Dolby Digital 2.0 for English and Japan and this series comes together rather well in widescreen. Any complaints? Just the lack of anything substantial when it comes to special features but unfortunately this is staple of most Japanese anime. Nonetheless, this is a brilliant series and I hope I didn't spoil it for anyone!